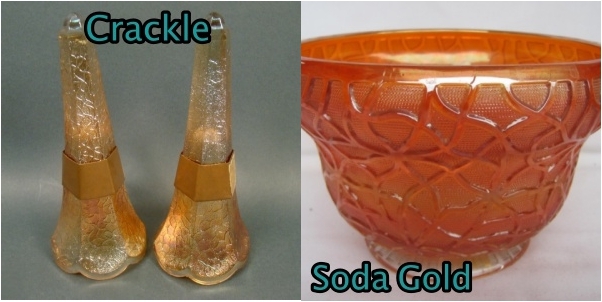 Soda Gold, Crackle or is it Hobnail Soda Gold? 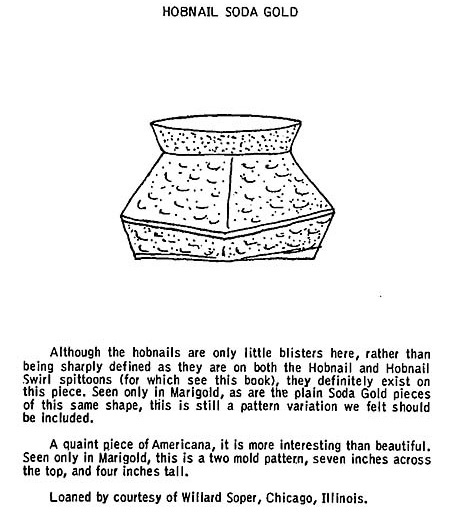 This is a page from the Hartung Book 5 Page 111 showing the Hobnail Soda Gold Pattern. 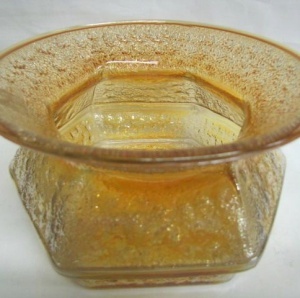 This is a picture of the Hobnail Soda Gold spittoon. This picture shows both the Crackle and Soda Gold side by side. After seeing them all on the same page it is easy to see the differences, proving that, as in most cases, a picture is worth a thousand words.